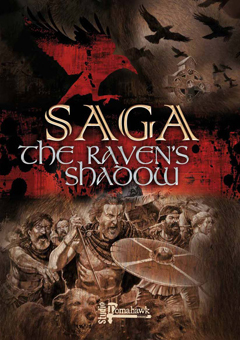 The Raven's Shadow is the second supplement for the SAGA rules system. Along with rules for War Banners that can be used by all existing SAGA warbands, The Raven's Shadow contains all you need to field four new factions on the battlefields of Viking Age Europe. 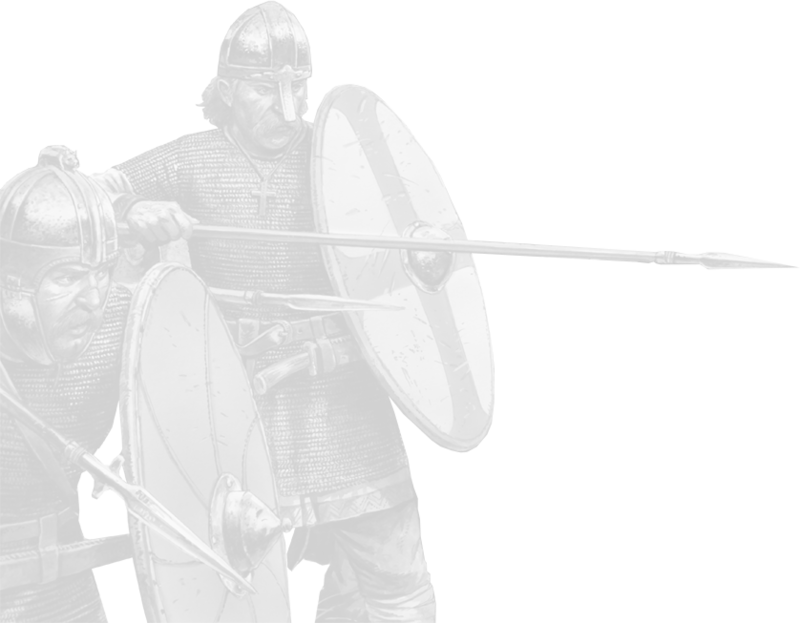 The Franks - Whether your warband is of Merovingian, Carolingian or Capetian, the Franks have a highly organised military structure and monted troops are the key to your success. The Irish - Lead your brave tribal warriors against all comers and watch the enemy quail before the might of your champions. 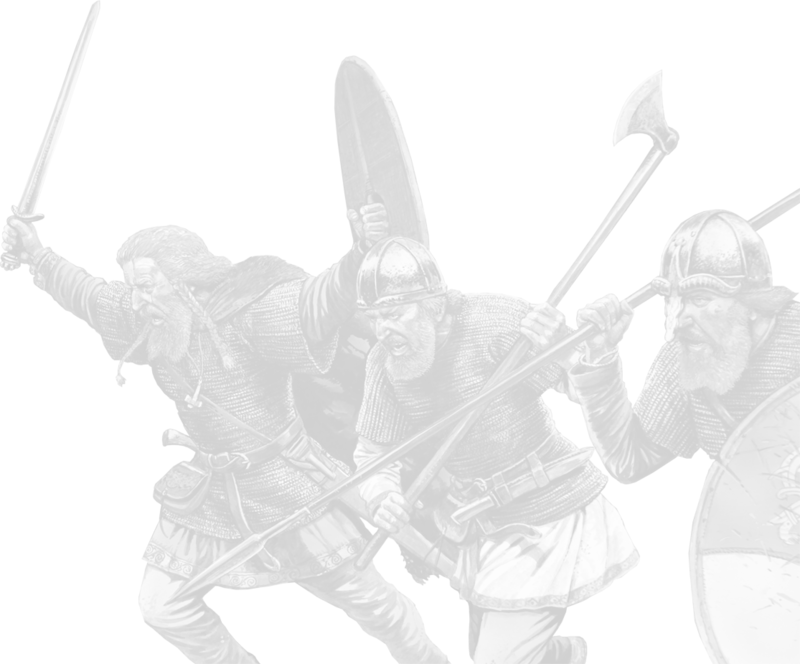 The Norse-Gaels - Born from the collision on Celtic and Viking cultures, your warband is ready to demonstrate its martial prowess - dare your enemies accept your challenge? The Stratchclyde Welsh - Mounted on sturdy ponies, your warband is ready to surround and destroy any who are foolish enough to stand in your way. Inside this book you will find descriptions of the four new factions, all the rules you need to muster one of these exciting new warbands (including new Heroes) plus of course a new Battle Board for each of the factions. Each of these new factions presents new and interesting challanges, both to command and to face across the table but as with everything in SAGA, each of these factions have been extensively play-tested against one another and against the eight already published factions in the rule book and Northen Fury supplement to ensure that every game will be balanced and challenging. 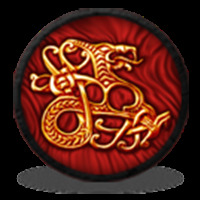 Now muster your warband, prepare for battle and let your mighty SAGA play out under The Raven's Shadow.